When something good happens once, it might be just a fluke. When it happens a second time, it might just be for real. 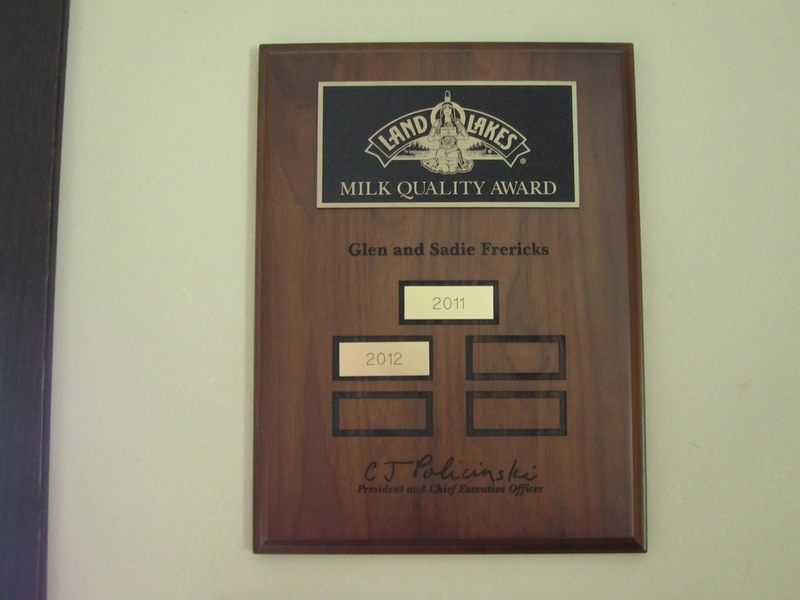 We earned our second milk quality award last Friday, for the milk we sold in 2012. We’re super proud that we’ve been able to maintain award-winning milk quality for two years now.